Located just over an hour south of Chicago. Chesapeake Run is an Audubon sanctioned golf course and community. No roads or cornfields border the course, secluded within itself by woods and prairie grass. Fourteen holes play from elevated tees offering panoramic vistas of the course. Our facilities offer the perfect venue for your next outing, wedding reception, or get-away meeting. Make a tee time or book an outing and let our staff take care of every detail. We built this course for you. Please call 574-896-2424 for current rates. 2 miles east of North Judson on Hwy 10, turn south on CR250 west, course is 1 mile on left." 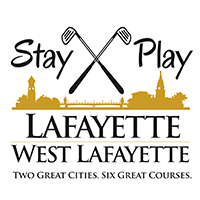 Call 574-896-2424 for rates and tee times. Contact Chesapeake Run Golf Course at 574-896-2424 for more information and details on holding a golf outing at the course. Contact Chesapeake Run Golf Course at 574-896-2424. Contact Chesapeake Run Golf Course at 574-896-2424 for onsite or nearby dining options. This profile was last updated on 09/03/2018 and has been viewed 12,457 times.